Something has happened to me in the last few days which, in a strange way, but one I’m sure you’ll understand, makes me feel quite hopeful about things. I can’t really describe which “things” – just “things” in general. I had a fairly serious cycling accident when I was 18. I was hurt, but I was lucky. I was a keen cyclist in those days, and rode out with a local “chain gang” every Sunday I could. I had a long ride to and from school and to my Saturday job, and went everywhere by bike. I’d saved my own money to buy all the bits for a well-equipped road bike and rode it hard. A regular piece of fun for us south-east London lads (that’s where I was brought up) was to slipstream the London Transport buses. 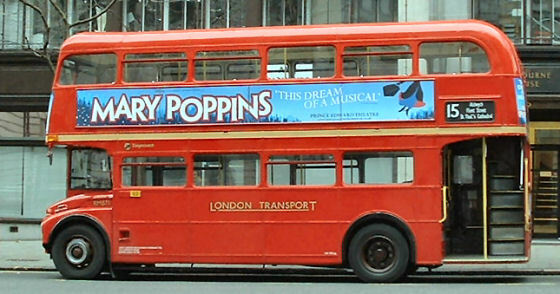 These were still the old Routemaster buses with the open platform at the rear. They were quite slow pulling away from stops, lights, etc, but would get up to a decent speed. As a pace vehicle, they were ideal training aids for riders, despite the real risks involved. I was on the road between Bellingham and Catford. It’s flat,and quite fast, even today. I’d been chasing a 54 bus from Beckenham. That included the steep up and down along Southend Road and over Beckenham Hill, so I was very warmed up. Almost up to full speed (mine), the bus pulled across to the right. I decided I’d drop off the chase at this point. Momentarily, I stopped pedalling, and didn’t move right like the bus had. In a split-second, I realised the bus had actually moved out to go round a parked car. I was probably doing 25 mph when I hit the back of that car. My next memory is of sitting on the road, quite a way in front of the car. Where was my bike? I jumped up and walked to the back of the car to see a tangled pile of concertina-ed frame and wheels. The crossbar had bent into 90 degrees. The front wheel was oval, with spokes everywhere. It was only then I realised I was hurt too. It amazes me still that in those days, way before cycling helmets (we’re talking 1972 here), I’d not hurt my head. As far as I am aware, I didn’t even hit it on anything despite flying over a parked car and landing on tarmac. What hurt was my left shoulder. It hurt like mad. There was also no one else around, even though it was only about 4.30 on a Saturday afternoon. I was right opposite Bellingham police station, and dragged my woeful bike across the road. The copper on the desk was really helpful, and I was in a car to Lewisham Hospital a few minutes later. They even stored my bike for several weeks until I collected the bits! The hospital diagnosed my subluxed collarbone without X-ray (it was what is called an ACJ subluxation), and patched my very extensive bruising and gravel rash. They missed the two fractures in my left shoulder-blade. These only came to light a week later, when sleeping had become impossibly painful, and I was finally X-rayed. Long story short. Like all youngsters, I healed pretty quickly. The legacy is a lump on the end of my left collarbone, and was also a shoulder that clicked every time I rotated it. None of the physical therapists I’ve ever seen in my sporting life felt the “clicky” shoulder worth special treatment. I had full movement and strength in it, and no pain from it since my mid 20s. It just clicked whenever I circled my left arm, and did stuff like that. I’d long learned to live with it. Occasionally other people could hear it. I was aware of it every time. Important that you paid attention there. Notice I referred to the lump in the present tense and the click in the past tense? That’s because, after a training session a couple of days ago, the click stopped. Yes, stopped. 42 years: FORTY TWO YEARS later, it has stopped. Now, I have no idea what it was I did in the gym session that caused this. I was doing a “lower body” session and hardly used my arms at all in the workout. I’d showered and got home. It was only when I took my jacket off that I realised a) that my shoulder area felt a bit sore, and b) that there was no accompanying click when I rotated my arm and shoulder when taking off my coat. I’ve had a few uncomfortable nights since, but the pain is lessening, and the click definitely has not returned, despite further training. For a few days it was very strange – like losing an old friend, or throwing a way a favourite old jumper. I’ll get used to it, I’m certain. I can’t see any disadvantages to it. But it’s made me marvel that something like this could, pretty much spontaneously, sort itself out after such a long time. I’m at an age where, to be honest, I’ve begun to wonder with every sports injury, whether the latest will be “it” – the one that I can’t recover from. And then this happens. I’m glad it wasn’t a function-limiting injury, (well, not for more than a few years in my youth, at least) but I’m aware how quickly it has changed my perspective on a few things. I’ll keep you posted, especially if it comes back again. I was over optimistic. About three weeks later, the click was back. It returned at the same time my left oblique (look it up!) began giving me severe pain at the base of my ribcage – pain like DOMS, but not fading after a couple of days. My left knee and left achilles have also gone bad. I’ve been careful with everything in training, but racing requires 100%, and the damage seems to be ratcheting up. I’ve raced well – a succession of Club age group records over 100 and 200, but I think diminishing returns are setting in. More in a while. You are currently browsing the Blog from a Faster Master blog archives for May, 2014.